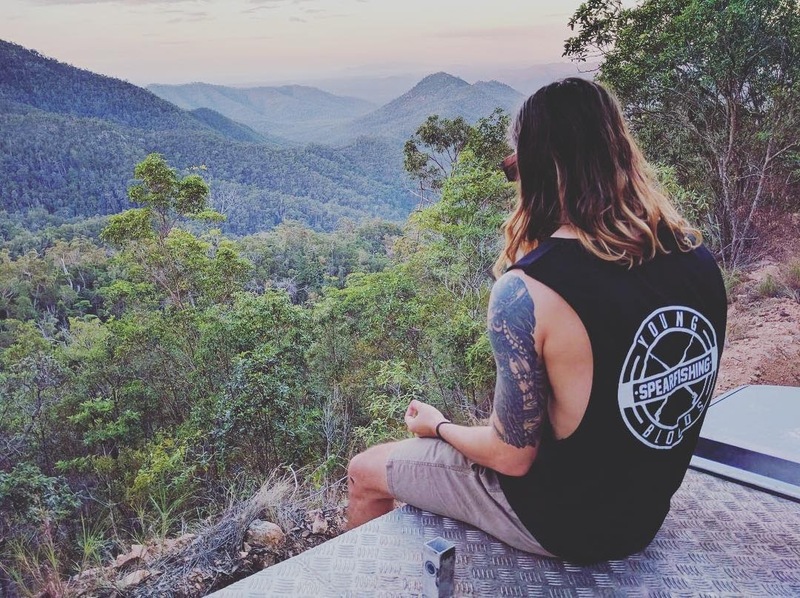 Have you ever been on the four wheel drive track from Bluewater up into the Paluma Range National Park? 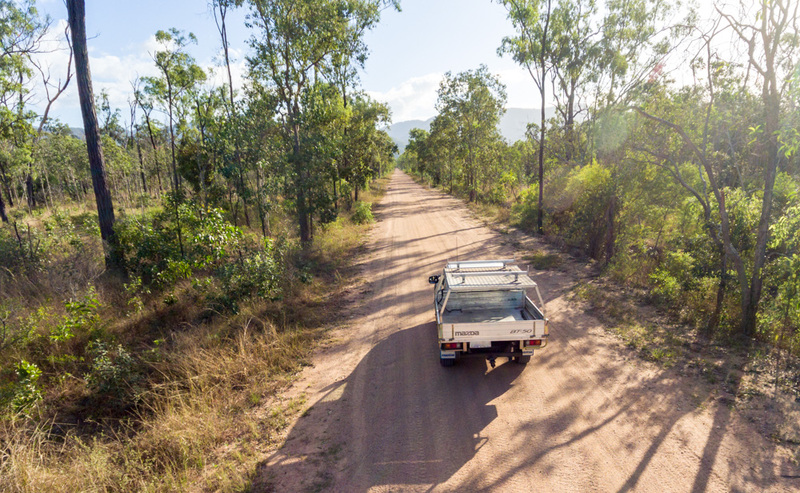 It's a fantastic getaway into the middle of nowhere and it's so close to Townsville. If you don't mind some red dirt on your truck, put this on your list as you explore the World Heritage listed Wet Tropics Rainforest. It has some great views going up the range. This track is a former route for logging vehicles and after many years of neglect and weathering, the dirt road surface can make for an interesting and sometimes challenging track. 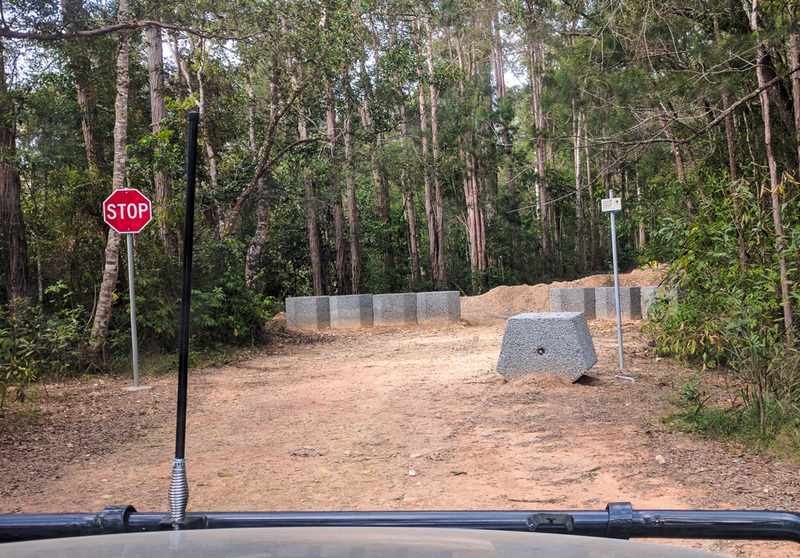 Rumor has it that it's possible to go all the way to Paluma Village on this trail, however this is not true for motor vehicles. There is a 10km stretch where the logging road has never existed. It is possible via foot only but allow many days to make your way through the rainforest. 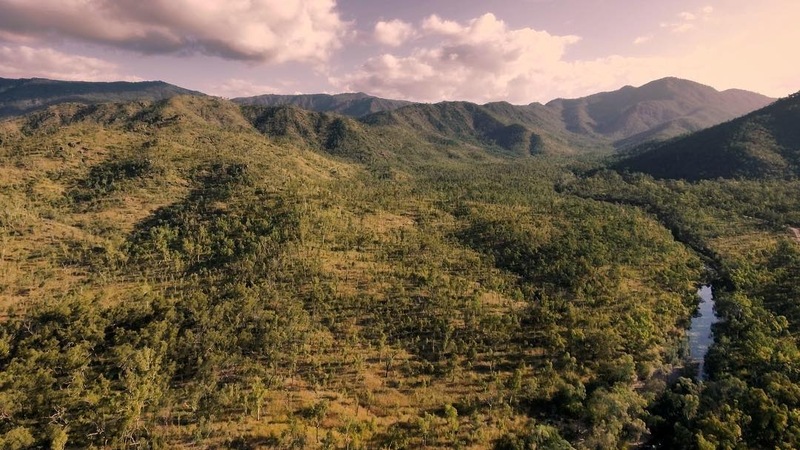 Read more about the Bluewater Station to Paluma Village Hike. Head North from Townsville on the Bruce Highway to Bluewater. Turn left just after you cross the Bluewater Creek bridge. You could use the rest area here, as a meeting point with your mates. From here, it's dead simple. Stay on Forestry Road and keep going. You will leave the suburb of Bluewater Park, and eventually hit a dirt road. 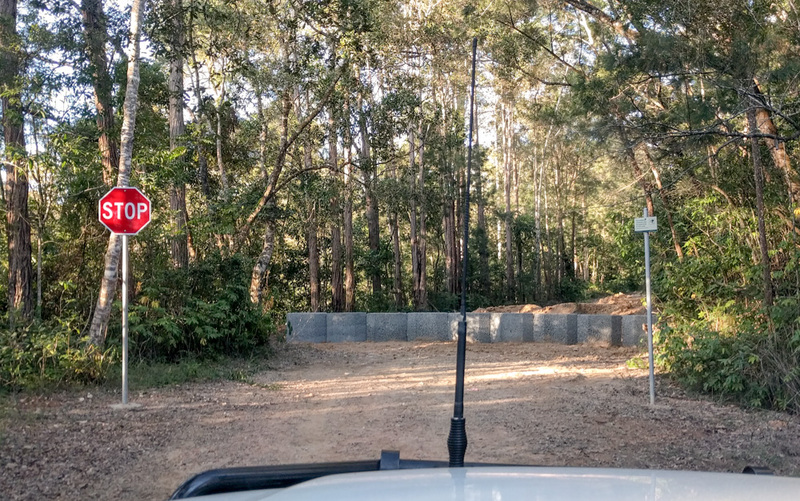 This road will start leading you towards the hills, and a magnificent drive up the mountain range into Paluma State Forest. The road is quite corrugated and dippy at places. The views and countryside scenery are spectacular! The drive takes you through Savanna woodlands with heaps of grass trees and rocky outcrops on the hillside. If it has rained recently, on the left side before you hit the uphill section, you'll find a clearing to a lovely patch of running water. At the top of this mountain, you will pass through an open gate near the old forestry hut and then you are pretty close to where the action and fun starts - depending on the condition of the road and the weather. Once in Bluewater State Forest, the road keeps climbing, and there are plenty of places with steep drop offs from the track, so extra care will need to be taken. Allow a good few hours to reach the flowing, crystal clear creeks. This is typical of what you would expect to find in tropical North Queensland rainforests. From the campsite (CAMP1) at the headwaters of Keelbottom creek, the logging road stops but you'll be able to continue on quad, bike or foot along to an old caravan. In 2011, Cyclone Yasi damaged a fair amount of the trail with numerous trees blocking the old track. Must of these fallen trees have since been cleared by private parties. Along the track you will experience big climbs, old log bridges, steep rocky descents and wash outs. The deeper into the forest you get, the more it's overgrown. If you are precious about your paint work and don't want to get any scratches, then this track is not for you. The rainforest encompasses the track, and you will be driving through all sorts of overgrown trees, vines, and lawyer cane. If you have a chainsaw, throw it in the back of your truck or quad bike in case any old trees have fallen across the track. 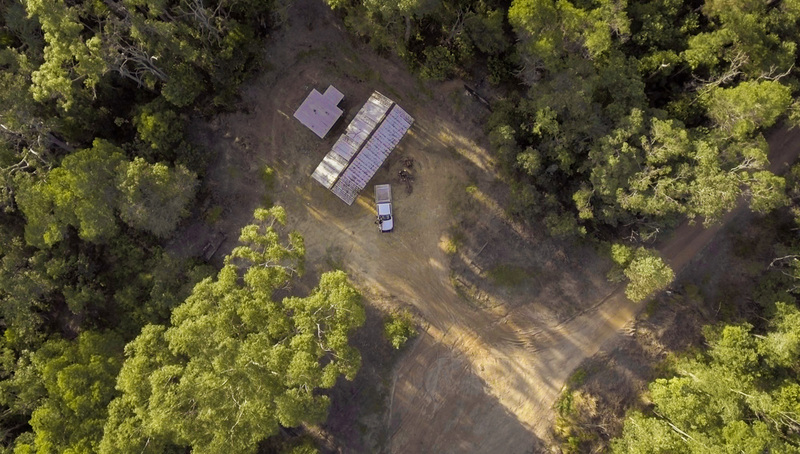 If you want to reach the two logging shelters (one known as the caravan), you will need a quad bike or a dirt bike with a chainsaw, or just use your legs. The old caravan used to be frequented by the Townsville Rockwheelers Mountain Bike Club but this is no longer the case. Remember, there is no mobile phone coverage out there and no access past CAMP1 (Keelbottom Creek) by 4WD to bail you out. So take care and bring a topographical map, compass and/or a GPS if you plan on exploring the caravan past CAMP1. As you will be entering a national park, you can not bring your family pets; including dogs. The concrete bricks are now bolted together to prevent four wheel drives from pulling them out of the way. However, locals have now made a track around them. Big Bend is a popular 4WD full bush camping located right on the banks of the Burdekin River. Part of the Great Basalt Wall and known for its extensive basalt formations. It's better than Fletchers Creek with great fishing and bush camping opportunities.